Recently, an author we’re working with wanted to know how we could help him sell more books, but didn’t want to do anything with social media. “Facebook doesn’t sell books, Amazon does!” was his statement. This brings up a whole host of issues that I think many authors (and business people, in general) don’t understand about marketing, PR, social media, and search engine optimization (SEO) and how they relate to sales. This is how and where you sell your product. For the purposes of this article, I’m going to assume you’re an author trying to sell a book. Your sales channels are the places that your readers can find and purchase your book directly—not a link to buy it somewhere else. It’s where someone can take out cash or a credit card and pay for it at that moment. Amazon and online retailers – This is probably the primary focus of most small press and indie authors. Getting your book onto Amazon and other internet sales platforms (BarnesandNoble.com, etc.). Of all of them, Amazon should probably be the initial focus. Make sure you have a good book description, sample chapters (Read Inside), editorial reviews, along with reader reviews, and a well-written author bio page. Your website – I’m asked all the time by authors why they need to have a website at all. Their book is available on Amazon. 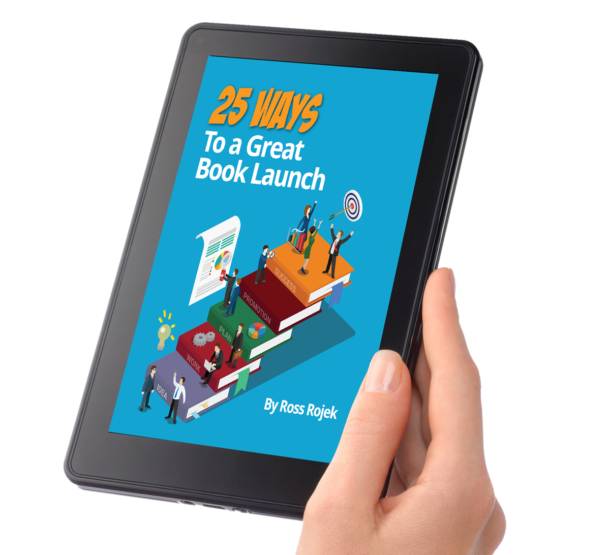 If someone buys your book from your website, they’ve now become your reader and your customer, because you now have their email address. When someone buys your book on Amazon, you get paid, but you don’t know who they are. You can’t follow up with them with a new book or special offers or appearances. Visitors to your website can also be tracked via Google and Facebook, allowing you to target them with follow up ads to purchase your books if they haven’t yet. That’s why having a website is important. Other than a few things, marketing is how you spend money to promote your book. You may run ads on Amazon, GoodReads, or other platforms that have your target market of readers. Any marketing you do should have some way to track your results so you know where to spend more money (or as importantly stop spending money). PR and SEO are two different sides of the same coin. Both want to get you and your book exposure to media and potential readers. They just go about it in different ways. PR or Press Relations does outreach through email, press releases, and personal connections to get media outlets to cover and review your book. They look for the right audience factors to get your book to the most receptive editors or reviewers that would like to hear about your book. As those media outlets cover your book, new potential readers will hear about it and then go looking for it to purchase. Most media outlets don’t provide links to purchase books they’ve reviewed, so you’re counting on a reader to remember your book the next time they’re in a place to purchase (your sales channels). PR can be everything from reviews of your books in niche online publications to appearances on Good Morning America. What you’re looking for in a PR firm is one that can find your audience and provide a personal outreach—not just email blasts announcing your book or your availability. Search Engine Optimization (SEO) is the other side of this. Instead of trying to find readers on other websites, SEO finds what your target reader is looking for on the internet and then makes your website or landing page the best result for Google or Bing to show in their results for that search. Some of this work happens on your website. Much of it happens on other websites that will link back to you to help with the keyword terms you are trying to rank for. SEO starts with looking for the keywords that your website already ranks for and then helps them rank better through creating new articles and backlinks using those keywords as anchor text pointing back to your website. The next step is looking for other keyword opportunities and doing more of what worked for your search results. SEO is a constant program of test, analyze, and repeat. While you don’t need to be on every social media platform, you do need to be on the ones that your readers are on and that is natural for you. Your posts on social media should provide a look into your life, your profession, and your experiences that lead to your writer’s life. Each social media platform has their own strengths and weaknesses, so learn how to use the few you like the most and develop your followings.Half of your credibility on social media are the things you post, like, or repost. The other half is your followers. You don’t need a huge list of followers, but you do need active, interested followers that will help amplify your voice. When you post something new, how many people comment, like, or reblog your post? How often do you interact with them, asking for input or comments, or offer them things of value to them—not just you. Only posting links to purchase your book isn’t social media. Posting links or articles about things related to your book, genre, or subject will attract people that will be interested in your book. A good rule of thumb is to post 10 helpful, interesting posts for every post you do about your book(s). Facebook – If you’re only on one platform, this is the one to be on. You can do long posts, repost interesting articles, images, and videos that will be easily sharable by your followers. Don’t forget to participate in groups and communities. Twitter – Use this platform more often for short updates than you do on Facebook. Participate in conversations around hashtags and communities that relate to you. Instagram – This platform is photo-based, so if you’re book lends itself to photos, then Instagram will be a good platform for you to be on. It’s certainly a narrow niche for authors, but should not be overlooked. Tumblr – This is a great platform for sharing. Tumblr is super easy for someone to like and repost content they enjoy, and the tags make discovery easy. Building a following is easy, and getting your content discovered is easy. Google+ – Most people overlook this platform, but it’s great in a number of ways. There are fewer users (less competition), but active community pages that help curate great articles. And content shared here goes straight into Google’s index, making it very SEO friendly. Pinterest – As with Instagram, if your book lends itself nicely to imagery, then creating a Pinterest account and some boards might benefit your book sales. You can also use this to create resource boards for people interested in your subject and introduce them into your book as well. Medium.com – I have an author friend who also has a blog he writes on. Really good and entertaining stuff. I’ve told him for a couple years to also put his stuff onto Medium. Your chances of reaching more people who will want to follow you is infinitely higher on Medium than someone stumbling on your personal blog online. It’s simple to write there or copy blog posts from your website to there. People initially subscribe to Tags, which feed them articles Medium thinks they’ll enjoy, and then that person can follow you if they like what they read. YouTube – If you’re comfortable in front of a camera, YouTube is the place for you. With billions of monthly users, YouTube is the second largest search engine on the planet, and with its connection to Google, new content on YouTube shows up almost instantly in Google Search. You can also use videos from other platforms, like Facebook Live or Twitter and Snapchat on YouTube as well. Email Newsletters – While technically not a social media platform, I’m seeing it used more and more as one. It’s mostly one direction, but, used well, email can create a great connection between you and your most passionate readers who will be there ready to buy your next book. 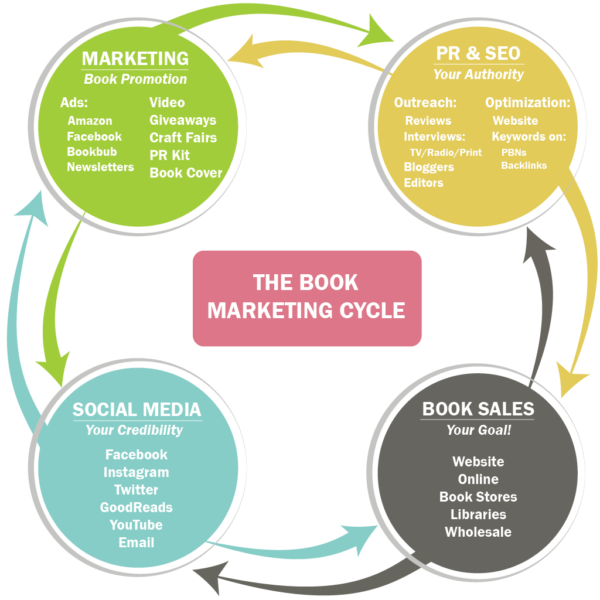 Book marketing is the sum of multiple actions on your part. Your presence in social media makes it easier to get PR mentions, interviews, and reviews. Your PR presence bring you new readers and social media followers. Your marketing and sales efforts bring you more visibility, sales, and social media followers. So, for each part of your promotional channels, think about how to also encourage the other parts. Include your Twitter handle in your interviews. Drive your book sales, and advertising to your website over Amazon so you can capture customer email addresses to promote future books. Participate actively on social media to raise your presence and get more followers. Promote any interviews and reviews on your social media platforms as proof of credibility. 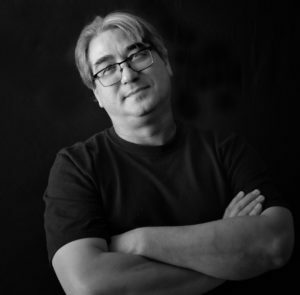 ROSS ROJEK is the Editor-in-Chief with City Book Review and Chief Technology Officer for GoLocalApps. He’s the brainchild who came up with the City Book Review concept in 2008. His role in the company is to introduce new ideas, which drive the staff crazy, and act as an advisor when it comes to all things books and publishing. He has become an expert at SEO as a result of years of working with City Book Review projects and with authors. Follow him on Twitter @Sacbookreviewer.